You are currently browsing the tag archive for the ‘Governor’s Race’ tag. 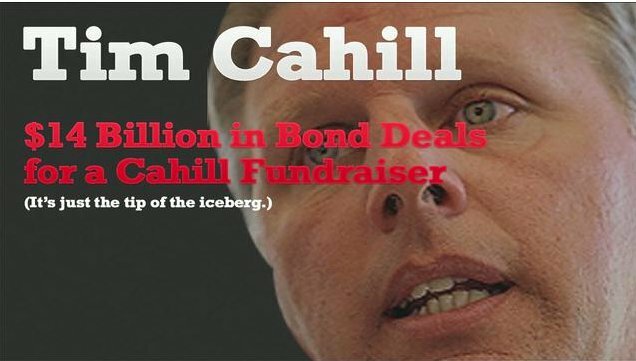 The Republican Governors Association began a massive advertising campaign today attacking State Treasurer Tim Cahill, with a ‘7 figure’ ad buy, featuring ads that attack Cahill for being financially ‘reckless’ and ‘corrupt’. The ad campaign includes a web site, The Cahill Report hosting the ads, and a twitter campaign (#CahillReport) to distribute them virally.